Hey there! Here is a full list of all of my favorite verses and why I love them so much! This has been my ultimate favorite verse for such a long time. It has been such an encouraging verse through thick and thin for me. It helped my self-esteem and self-confidence substantially. I always turned to this verse to remind me that God created me with no mistakes, even though I saw plenty every time I looked at the mirror. I was going to use this verse as the motivation for a non-profit organization that I had wanted to start a while back, to teach young women that they were “fearfully and wonderfully made” the way that I had to learn as well. I still love this verse and hold it very dear to my heart always! I wrote this verse into my softball mitt when I was in seventh grade. I moved to a new school, I was heavily bullied there and struggled a ton. I made the softball team though, and my dad bought me a new softball glove. I wrote this verse in it so that I could always see on and off the field and be encouraged and strengthened by this reminder. I remember the depth of this verse from when I went to winter camp in eighth grade. It was written on the wall next to a Transformer painting. That image stuck in mind until I got home and was able to look up the full verse. I love being reminded that this world should have no hold on our decisions or lifestyle, only God and His perfect Will! The ultimate definition of faith, defined by The Word. The best definition, I might add! Remember, God is God. Nothing can defeat Him. Nothing can separate Him from us. He is almighty and powerful. The weight of our sin, once given over to Him to forgive, creates no barrier between us and God! What an incredible promise! 1 Corinthians 13:1-7 NIV, “If I speak in the tongues of men or of angels, but do not have love, I am only a resounding gong or a clanging cymbal. if I have the gift of prophecy and can fathom all mysteries and all knowledge, and if I have a faith that can move mountains, but do not have love, I am nothing. If I give all I possess to the poor and give over my body to hardship that I may boast, but do not have love, I gain nothing. Love is patient, love is kind. It does not envy, it does boast, it is not proud. It does not dishonor others, it is not self-seeking, it is not easily angered, it keeps no record of wrongs. Love does not delight in evil but rejoices with the truth. It always protects, always trusts, always hopes, always perseveres. It’s a longer passage I know, but I love it all so much! Verses 1-3, speaks of the depth that love carries. Nothing matters if I don’t have love the way God intended love to be carried. Which is defined by the following verses! Most people like to apply these verses during wedding ceremonies since 1 Corinthians 13 is known as “The Love Chapter”, but that kind of love is to be extended beyond our own marriages to family, friends, or even complete strangers. This is the kind of love that Jesus showed all throughout His life. My life and everything I do throughout it matters none. All that matters in my life is to love Jesus, love others, and make disciples for His namesake. That’s it! Christ died for me, He died for you, He died for everybody that will accept Him. Even if we sin, He still died for us. We don’t deserve it, but He still did it! One of my current most reflecting verses that I repeat to myself constantly. Nothing should be made about myself. If everybody took care of everybody’s needs, then everybody’s needs would still be met, and God would be glorified! Obviously, I still don’t have this perfect and probably never will, but it has certainly changed my heart, especially in our marriage. I love knowing that God has a purpose for everybody in the church. Everybody has something to add to the table, and then the church is edified. We should do everything we can to use the people of the church in the ways that The Holy Spirit is working through them! What are your favorite verses? Why do love them so much? 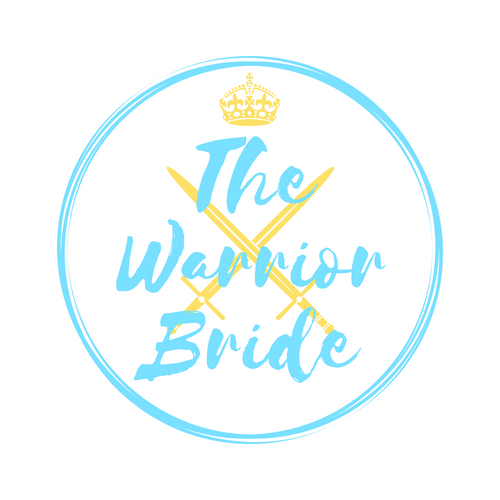 Email me at thewarriorbride24@gmail.com. Next PostFifty Memory Making Christmas Traditions To Start With Your Family! Your first one (Psalm 139:14) is my absolute favorite as well especially when I am feeling unloved or feeling like such a downer. It all started with God’s creation and we are a creation of His as well. We need to not forget that.